J&A provided complete civil/site design services for the project to include: site layout, grading and drainage, utility relocation, parking lot reconfiguration, handicap accessible ramps and walkways, and pedestrian drop-off areas. This project is an excellent example of the reuse of land to accommodate an expanding college campus and promote a “pedestrian friendly” environment. 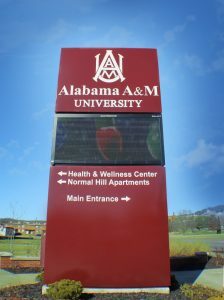 The existing deteriorated roadways and utilities were removed and replaced with a linear corridor/greenway to connect the new dorm complex and student services facilities with classrooms and administrative facilities, and to provide a focal point for students to gather and relax. 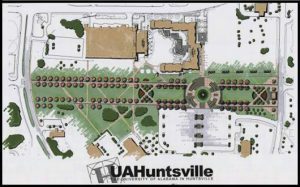 J&A provided Land Surveying and Civil Engineering Design for the new engineering building and additional parking lot. J&A provided construction plans for all of the site plan improvements, utility services, drainage systems, hardscape elements outside of the building, etc. J&A assisted the client with all permitting and plan approvals. J&A provided Land Surveying and Preliminary Civil Engineering Design for the site elements of this project to assist with the goal of obtaining a Silver LEED NC certification. The project will include: proposed housing complex containing 8 fraternity houses and one administrative building; parking facilities for residents, guests, and special events; recreation areas, including an amphitheater; stormwater detention ponds and constructed wetlands for water quality; water re-use facilities for irrigation; and pervious pavement.